The first time I read Mantel it was because of my husband’s grandmother. She lives in Glossop, a town on the edge of the peak district, which is the end of the line, but not quite, as the train has to head backwards out of the station to do a shimmy up to Hadfield, which really is the end of the line. I then learned two facts about Hadfield: the League of Gentlemen was filmed there, and that writer, Hilary Mantel, grew up there. She wasn’t famous then the way she is now, just famous for Hadfield, which was famous enough. So when I saw a slim volume called Fludd for sale in a second hand shop I bought it, when otherwise I might have left it behind. Fludd was an odd place to start with Mantel, but in many ways perfect. It’s a book about catholicism, and faith, and small places, and escape. It’s also a classic ‘stranger comes to town’ story, where the arrival of a mysterious stranger upsets and recalibrates the lives of the people he meets. Is he real? Is he supernatural? It’s never made clear. It’s a short book, and contains most of what you’d need to know about the character of Mantel as a writer: she writes consistently with attention, candour, humour and kindness. Which isn’t to say that she gives her characters an easy ride, just that she manages to expose them in as nice a way as possible. Over the years since I’ve read more of her work, and been to see her read from her books and talk about them many times, and always come away wishing she was my aunt. I’d phone her when I felt miserable or uncertain, and she would rattle away to me, dispensing some sharp advice among the kind words of encouragement, and I would put the phone down feeling bolstered, and properly myself again, and that I have to prove something to Aunt Hilary, which would drive me to my desk and the neglected pen. Or there would be an annual pilgrimage to see her, taking vintage port, and some ink from her favourite shop, and she would be as pleased to see me as she is pleased to see the back of me when the visit is finished, but in between we’d have eaten dinner, and talked of consequential things, and of handbags and scarves too. I would feel as if I had grown cleverer just by sitting next to her, and become less frightened of being clever, and having my own thoughts. And there might be the odd postcard coming through my letterbox, with recommendations for a new exhibitions or lipgloss, or a suggestion of books to buy, or indeed the books themselves might plonk onto the mat, and they would always make me smile, and send me to my desk. Because whenever you go to see Mantel speak, you realise that she’s pulling off that most amazing of feats: a woman, in public, being intelligent, and yet warm and funny, without simultaneously making her audience feel patronised or lost. She draws you in, in the same way she does in her work, just by being bloody interesting, clever and not ashamed of it. And it makes me, as a woman, who also writes, want to be better and more than I am expected to be, which is why the fabricated hoohah surrounding her speech on royal women is so depressing. So much was reflexively condemned by so many voices before anyone put their hand up and said, “hang on – are you sure that’s what she said?” It relied on the playground argument that ‘she might be clever, but she still wishes she was beautiful, the bitter jealous cow’, which clever girls are subjected to at school from a very young age. Too big for her boots too, as they might have said up in Hadfield. We all thought we were past that, didn’t we? And since I can’t bear to live with the idea that I ought to stop having thoughts and writing them down, I’m going to carry on thinking that we’re past that. In my mind I’m going to call Aunt Hilary and listen to her dismiss the fools, and then turn the tables and ask me, ‘well, what have you written today?’, and since I can’t bear to disappoint her I’m going to knuckle down and get on with it. 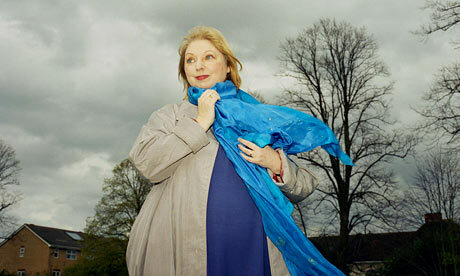 I’ve never read any of Mantel’s books and I’m also not at all interested in royalty (past or present), but I made a point of reading her full LRB article last week to find out what she’d actually said, because the hoohah-makers seemed to me to be saying, “How dare this fat woman have an opinion on the beautiful princess?”, and that was sickening. I mean some people actually said that very directly. Sickening. Also, I thought by far the most shocking part of the whole (very interesting) piece was the bit about her sitting on the floor behind a sofa at Buckingham Palace!